I haven't sewn a stitch since last weekend's hoodie, but I've been planning and cutting, and planning some more. Sadly, this means Kid's Clothes Week has completely passed me by, but I'm starting to wonder if reading everyone else's blog posts and browsing the Flickr pool isn't enough for one week. Sewing as well? Well that just seems impossible, yet you all do it! And all my cutting hasn't been for the kids. I'm revisiting the idea of Selfish Sewing, hopefully this time without the road trauma or blackouts. 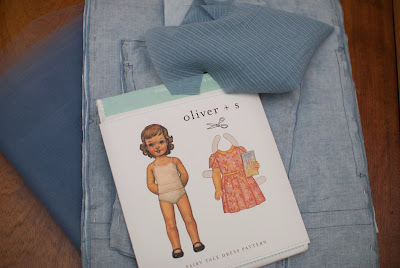 Since both of my projects from selfish sewing week were complete or partial failures I'm going to make the same things over again, and this time I'll get it right (I hope). 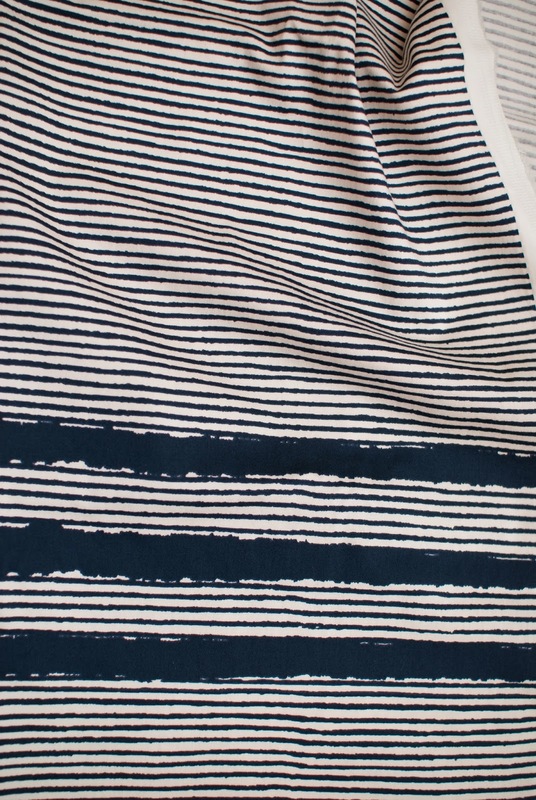 I got lucky and found the same self striped cotton fabric for $3/metre that I'd made the original Japanese blouse from. 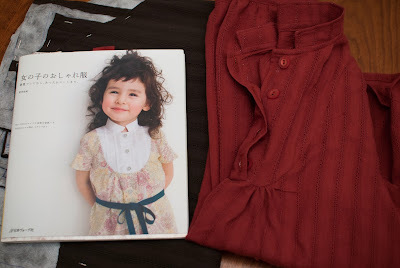 It was available in the same dark red, but having just bought the dress fabric I thought it might be overload and I couldn't bear to sew the same thing over in the exact same fabric. This time I bought a colour that could only be described as wet seaweed. I've split the pattern vertically and added 1.5cm on each side, front and back, from shoulder to hem. 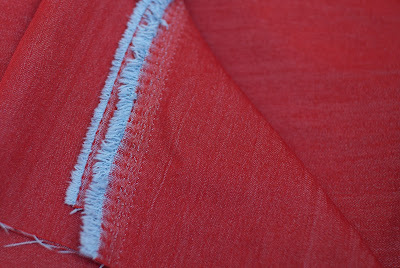 I've also added 1cm width on each side of the sleeve armhole and along the sides of the front and back pattern pieces. Nothing scientific about any of that, they just seemed plausible amounts to add to get it to fit. Luckily I've found someone with narrower shoulders and a lighter frame to take the original one off my hands and wear it. Not the most exciting sewing but they're long overdue. Two each for the kids. There are some bucket hats in there from the Little Things To Sew book, but that won't add to my tally as I've already sewn that pattern. 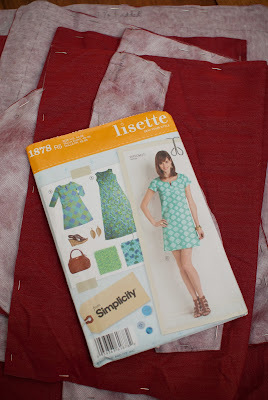 Next up I've finally cut a pattern that I drafted months ago. The Oliver + S Fairy Tale Dress. I've no idea what this fabric would be called, but it's very sheer, has a self stripe through it and is kind of crinkly. 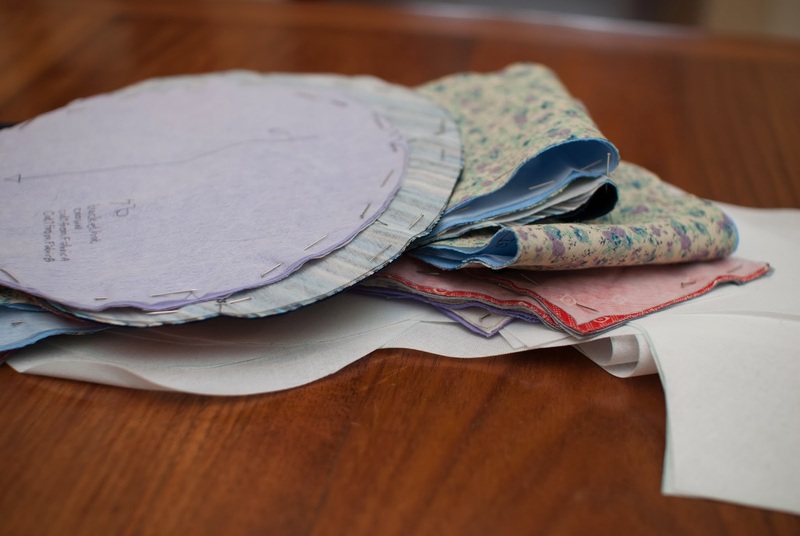 It's threatening to be awful to sew and I've decided to cut two lots of everything from the cotton batiste lining fabric. I'll treat the sheer stuff and one lot of batiste as a single fabric for the outer and then the second lining layer will be the true lining. Will that work? I didn't think I'd have to do anything for Halloween this year but the kids got an invite to a kindy trick or treating night. P wants to be a scary black ghost, A wants to be a happy purple ghost. I've drafted a pattern using the Happy Homemade hoodie, enlarged to spooky proportions. The broadcloth is on the line drying and I celebrated all this cutting by treating myself to some new scissors at the fabric store. Looking forward to tonight's cutting now! 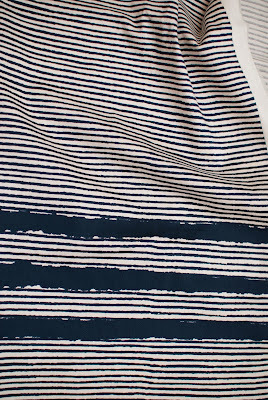 Poll: What would you do with the navy stripe fabric? 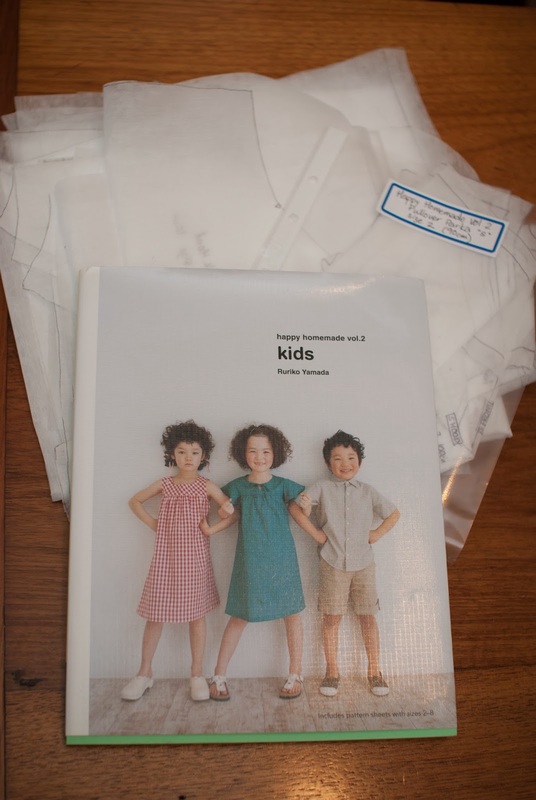 I sewed this week but than in exchange read almost no blog posts or did any flickr surfing. It was way too much time to do both! I like the striped though I don't have any genius ideas. I tend to get really stuck on border prints. They seem like a great idea, but I never know what to do! I guess where I'm stuck is more with the stripes. Any grown up sewing is bound to have multiple pieces requiring strip alignment and then what happens to stripes if there are darts?! A large floor cushion would be easiest! Predictable, I know, but how 'bout one of the new skirts or tops from Liesl et al? I think you're right, the everyday skirt could be great. i really love the stripes and i think the wider strips at the bottom are so unique. i haven't seen that anywhere. i love it. THanks, I couldn't possibly have left it behind at the shop, could I? You've been busy! All that pattern altering is the hardest part! My bursts of kid sewing never seem to line up with KCW. I sew most productively when my hubby is traveling for work or we are getting lots of rainy weather. Just think how productive I would be if I didn't live in Florida! The stripes I've seen as knit shirts but not sure about a woven. But, I LOVE them (and am super jealous of a 3$/m shop). I too keep moving the fairy tale to the bottom of the pile. Well I'm working on my fairy tale now (also fabric from the $3/m shop) and I have to say it's so rewarding to sew. go for it, you'll be delighted with the dress you make.